Oh, snickerdoodles, we love you so. The perfect combination of cinnamon and sugar wrapped up in a not-too-soft and not-too-crunchy cookie with a silly name, the snickerdoodle is a treat we like to make for guests when the weather turns cooler and the days get shorter. 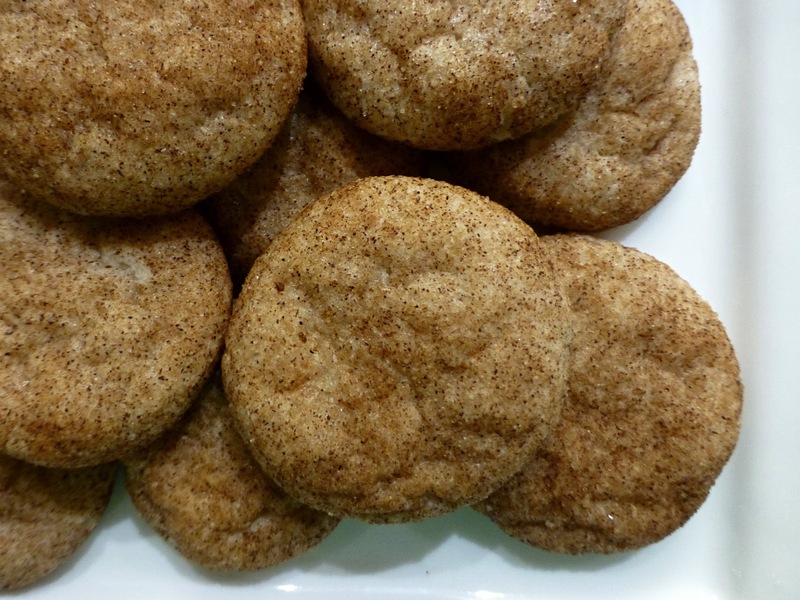 We make our snickerdoodles with a fairly standard recipe (adding our own secret ingredient…milk! ), but we sometimes sub baking powder for the baking soda and cream of tartar. Don’t judge. In a mixer, mix butter and sugar together until light and fluffy. Add eggs one at a time, then vanilla extract, then milk. Steadily add dry ingredient mix to the mixing bowl and mix well. Refrigerate dough if sticky (usually 30 minutes is plenty of time); this will make it easier to roll the dough into balls. Roll dough into balls, place in small bowl and roll until the dough balls are covered in the cinnamon/sugar mix. Place dough balls on a cookie sheet and flatten slightly with the flat end of a spoon. For our fellow chocoholics out there, we have a snickerdoodle for you: Check out our Cherry Chocolate Snickerdoodle recipe.